Chrispycuts Plus ... and it's just for the ladies. We have expanded our great family friendly services to The Ladies. 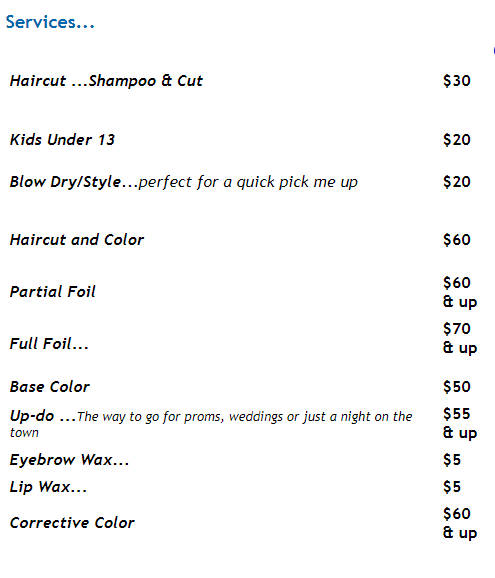 A private room offering services for the latest in hair cut, color, & salon services. Keep your hairstyle & color looking great with professional hair care products. Chrispycuts Plus stylists, Jacqueline Paratore for All Your Hair Care Needs; No Matter How Simple Or Complex. For more information on services and how to set up a trial just call and ask for Jackie.